Click the video above to view a video about the week-long volunteer project in June 2017 by Stonecrest Community Church at Old Stirling Group Home called “Love Week”. During the week over 50 members of the Stonecrest Community descended upon the home for an amazing spring home renovation. Thank you Stonecrest Community Church! There are many different ways to volunteer at The Arc of Somerset County. A few suggested activities are listed here. Be a Buddy - Many of our adult consumers have limited visits from family and friends to their residence at an Arc apartment or group home. As a buddy, you would be matched with one person and establish a regular visitation schedule, as often as you wish - once a week, once a month - we will help to define a time that works for you and your buddy. Formal activities do not have to be planned - just spending time will make all the difference! Read, take a walk, give a manicure, listen to music - just be a friend. Residents of our programs live in group homes and apartments throughout Somerset County. Work Center Assistant - Assist consumers working at work-centers. Centers develop contracts with local corporations - including collating, assembling and mailing. Volunteers are needed to help individual consumers to do their jobs! Clerical/Office Volunteer - You could make a big difference by giving a few hours of your time and performing basic clerical tasks like shredding, filing, and helping with large mailings at our main office in Manville. Camp Jotoni Volunteer - Camp Jotoni is a Summer camp operated by The Arc of Somerset County. Located in Warren, NJ, Camp Jotoni is always looking for energetic and outdoor-loving volunteers to help make each Summer an enjoyable experience for the campers. Painting - We have 25 residential facilities and 4 work centers in Somerset County that could all use a fresh coat of paint in one room or another. It is particularly helpful if your group could provide the paint and supplies, but we will also be grateful for donated time and labor! 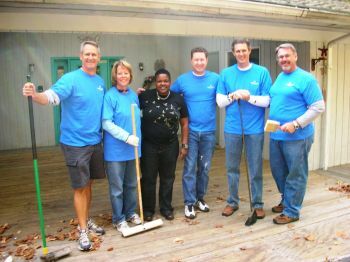 Facility Improvement Efforts - If you are good at working with your hands, consider lending your talents to The Arc! With all the programs The Arc of Somerset County operates, there are always projects on a "wish list" that are just waiting for talented individuals to take on the challenge. 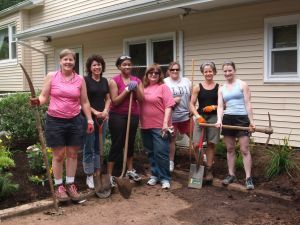 Landscaping and Gardening - Organize a team of volunteers to do some landscaping or plant a garden at one of our group homes. We are always open to suggestions for new and different volunteer projects, and would love to hear your ideas!